Trying to work full time and train full time means that every now and then everything seems to become all about fitting in as many things as possible in the smallest corners of time. The feeling of continuously being on some sort of a “schedule” has left me mentally drained from time to time. And although I love what I am doing, I was reminded it’s just as important to break the routine and live a little when I spent 5 days in Chamonix. 5 days out of my comfort zone trying to keep up with Greek x French Multisport adventurist Alex Dimitriou. I had met Alex through the Xterra network of people but would have been barely be able to recognise him in a large crowd of people before catching up with him in Switzerland. Meeting up with relatively strangers seemed to have become a common factor in most of my adventures the past year!! My Alpine holiday started with a tour around Scott Head Quarters in Switzerland where Alex worked together with two familair Xterra faces Peter Naegeli and Ian Pyott. Pete introduced me to the brains, designers and engineers behind the Scott brand. What a cool place to work!! A toy store for adventurists!! There even was a pump track in front of the building!! We left the Head Quarters loaded with Scott Skis, boots and poles which Alex had so kindly organised for me. 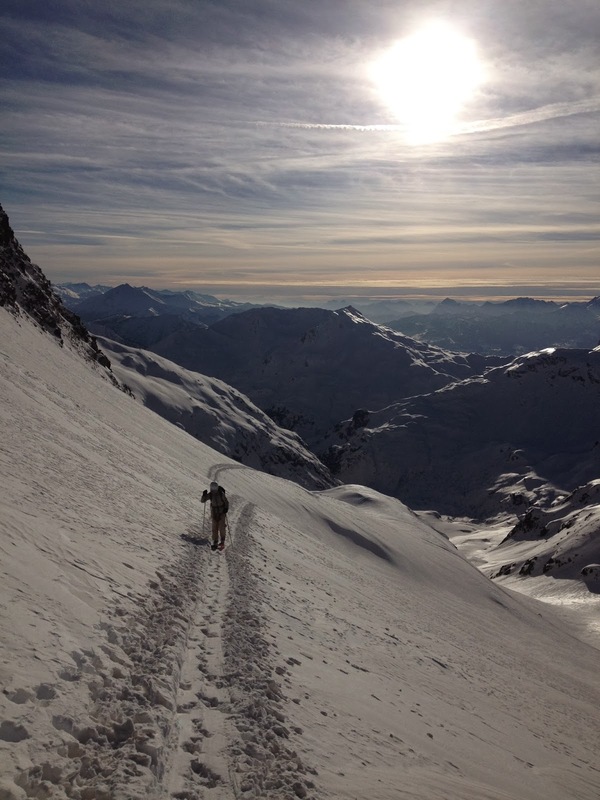 I felt very spoiled; no stone had been left unturned in the organisation of our trip to the French Alps. 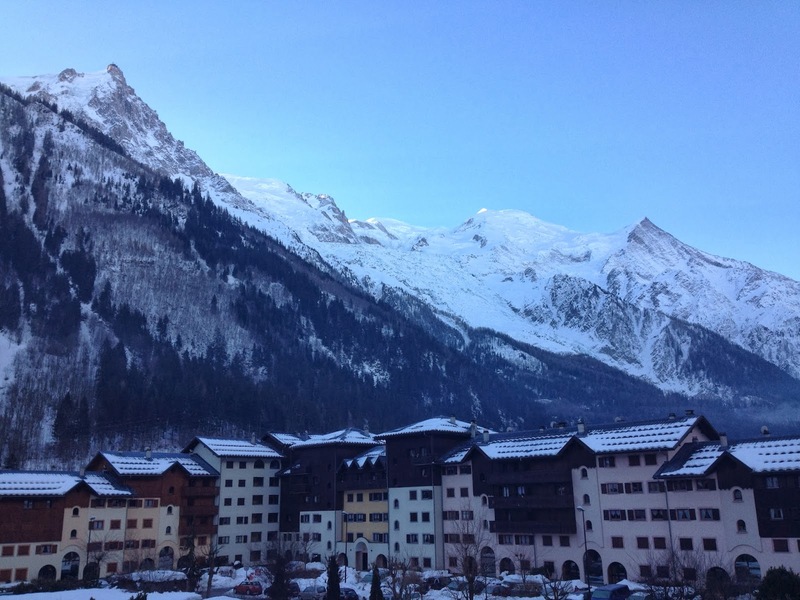 I woke up in Chamonix with a view of the Mont Blanc, the skies were blue and the sun was shining, my heart skipped a beat. 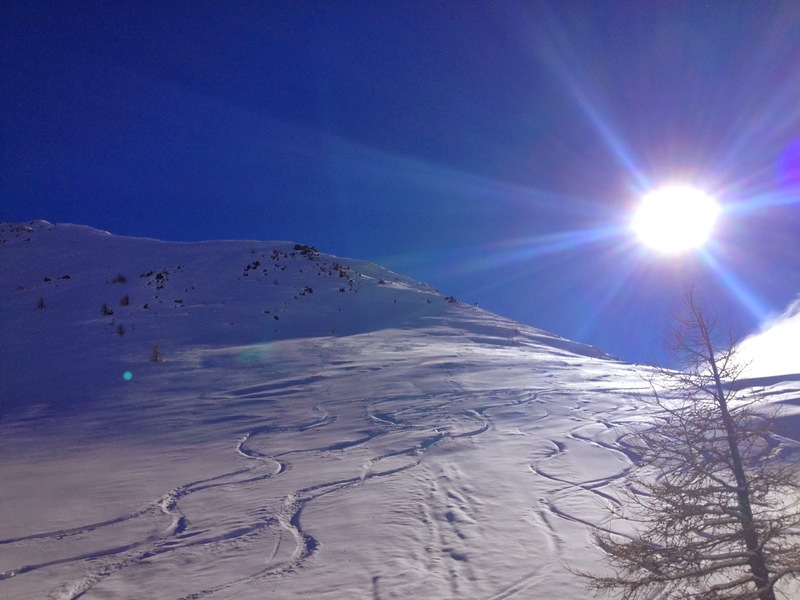 I had skied one day in the last 4 years and it had been more than 15 years since I had spent time in the French Alps, I felt very nervous and excited at the same time. There was no room for faffing about with my new friend Alex. As I only just left the apartment, he would be already at the bus stop. In the rush of trying to keep up with him I even followed the wrong “yellow jacket” onto a chair lift. The normally very chatty GreekxFrenchman seemed extremely quiet which made me start to think I had said something to offend him, until I realised half way up the mountain I was sitting next to a complete stranger!! We spent the morning on the groomed slopes for Alex to see what my level of skiing was and for me to find my ski mojo. It was such a bright day and the snow was perfec. Paradise. After a good 4hrs of skiing we started our “promenade”. 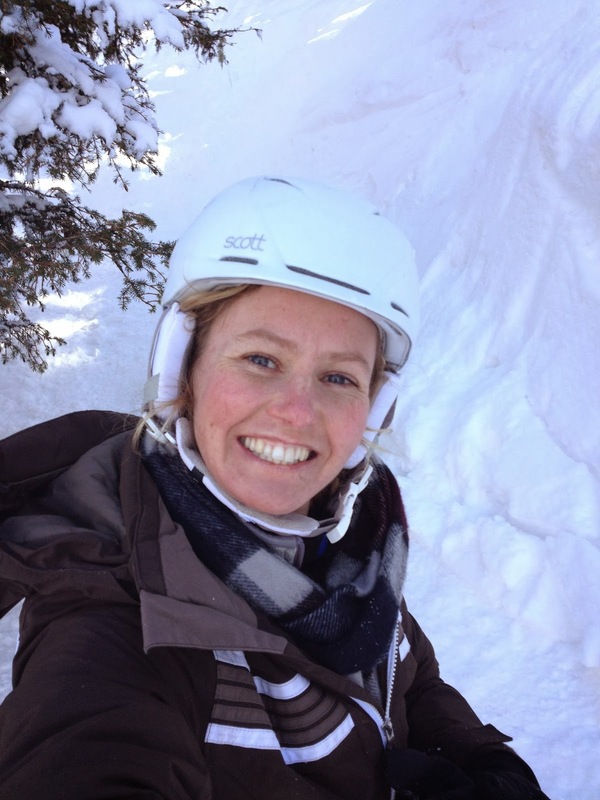 Immediately I was pushed out of my comfort zone walking up the Mountain on skis with skins. And I realised a “promenade” was “ski mountaineering” in disguise. Walking up on skis felt very strange and I expected to slide backwards all the time. 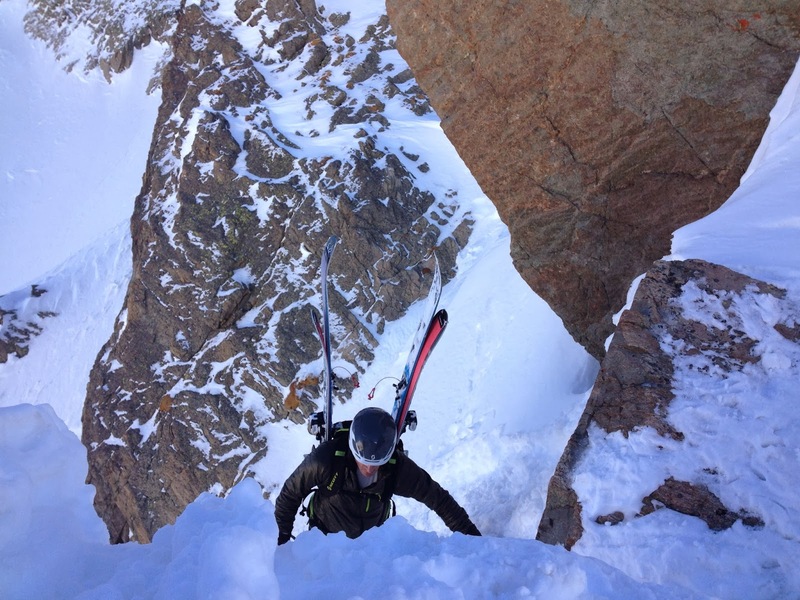 Although I had fallen in love with the Scott freestyle skis I was using, they were not ideal for this sort of stuff and I found it hard work with the heavy skis and heavy ski boots. As the gradient became steeper and more technical I started to lose confidence. We were half way up the face of the mountain when I started to feel anxious. Alex tried to relax me and explain nothing could really happen, yet I felt that with every move I could fall down at 90 miles per hour, and I was close to tears. I couldn’t move and as my body started to shake, I doubted Alex’s decision to take me here. I felt stuck. I decided to take the skis off and climb up instead. There was a path, basically steps were other people had gone before and with hand and feet I made my way up repeating to myself “mind over matter” with every step I took.” Don’t look up, don’t look down just keep going”. I heard Alex’s voice reassuring me. As I got higher the gradient got steeper and the snow got icier, a massive rush of adrenaline every time my ski boot slipped. “mind over matter, mind over matter, mind over matter"
When I threw myself over the other side of the Mountain at the top I was relieved to see that it was nowhere near as steep. And slowly I felt my body relax again. I waited for Alex, it was amazingly quiet and indescribably beautifully peaceful. The hardest part of our adventure was completed and I enjoyed every minute of the remainder of our “promenade”. It was breath takingly magical. The next day we woke up to no view at all and instead of blue skies there were grey clouds and heavy snow. It was windy, cold, wet with no visibility. This did not stop Alex. Groomed slopes were not for him, so he took me for another adventure away from the normal runs. High up the mountain I couldn’t see a thing, and although my Scott skis were amazing to handle, the steepness of it all in the deep snow made me feel completely out of control. “merde” I heard another struggling skier mumbling. Exactly my thoughts. Alex was a small dot in the far distance going down with ease. He was hard to keep up with on a sunny day let alone in these conditions. I started to feel slightly agitated “I wouldn’t have taken you here if you weren’t able to do it, you were fine yesterday on similar descents” he defended himself when I was questioning his choice of plans. “hmm yes, yesterday there were blue skies and you could see!! “ I mumbled. It was tense for a while. Alex wasn’t taking any of my lack in confidence and instead he pushed me to practice and learn how to ski properly in knee deep powder. “why complain you can’t do it, just learn how to do it” was his attitude. This time he took me down a less steep part of the mountain with the option of taking the groomed way down if I found it too much. The snow was amazingly soft and with a bit of guidance from Alex I started to embrace the deep snow, I somehow got the hang of it and I got such a boost from being able to do it and not giving up! 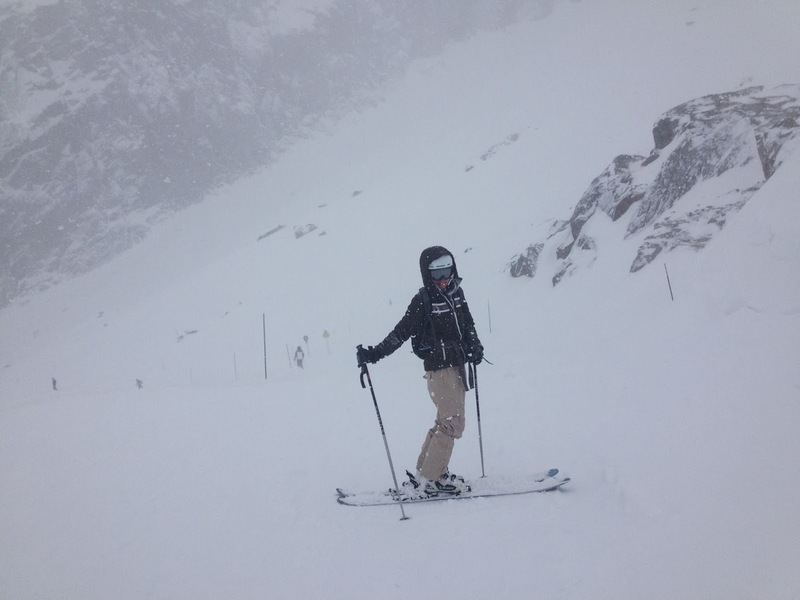 It was snowing heavily, no visibility, yet I was throwing myself down the mountain and loving it!! My confidence grew and I couldn’t get enough of it!! This was winter heaven! When I had been talking about coming to Chamonix to Alex there had been only one hiccup about the timing of the weekend I had in mind. 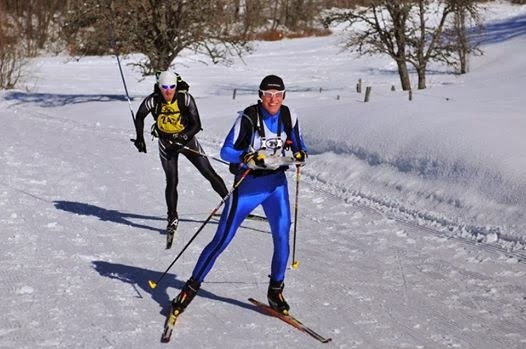 There was a cross country skiing mountaineering race on. No problem I said, I will enter also. “have you xc skied before, like the skating discipline” “no but I can ski and I can skate so I will be fine” Lucky Alex was a lot wiser than me and teamed me up with his friend Anne Klaye for the shorter event whilst I was ready to sign up for the long version. Race day arrived and I had practiced the cross country skiing twice. I found it quite hard balancing on the skinny skating skies but was hoping my fitness would get me through the race. Thank god I had such a fun, patient team mate in Anne, the course was brutal for a beginner like me. I went around like Bambi, up steep hills and down even steeper ones, completely out of control, legs and arms going everywhere hoping I would find a soft landing somewhere. 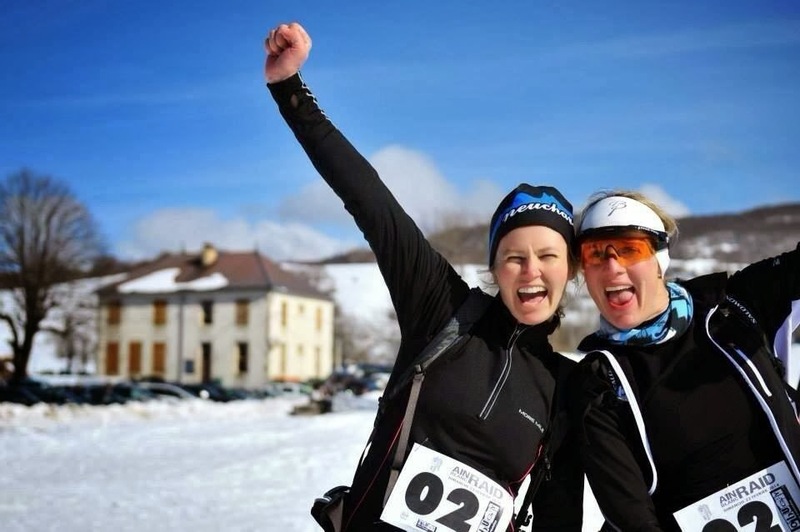 Although I did think at one stage I would never reach the finish line, my competitive side pushed me to my max and I hit the snow quite hard a couple of times! Bruised and battered I battled on. Unfortunately for the ones behind me I took out a whole train of people in one crash. Great way to get rid of some of the competition!! I was lucky to experience another beautiful sunny day with beautiful scenery surrounded by beautiful people. Alex and his team mate Luc took out the men’s event and Anne and I finished mid field! A day for smiles all around! Oooooh!Well, I must say you are a brilliant photographer and the blog is very nice.You can find there lot's of free stuff like free Steam-Card skins and many more!